Local farm broadcaster Jared White is traveling Central Illinois recording his popular Combine Reports. He's riding with local farmers in their combine, recording interviews on how this year's growing season went, and how harvest is progressing. Jared is riding in a 2019 Chevy Silverado provided by Baum Chevrolet Buick in Clinton. 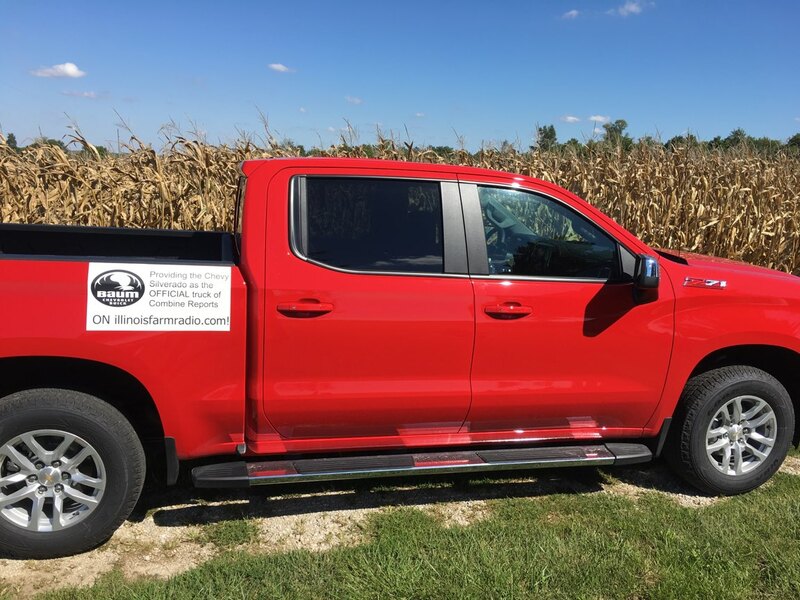 The Silverado is the Official Truck of this fall's illinoisfarmradio.com Combine Reports. 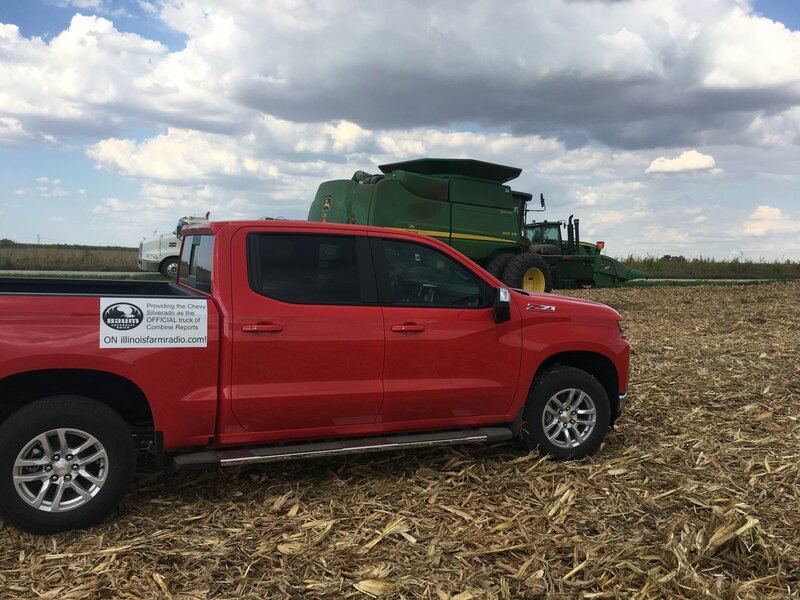 The 2019 Chevy Silverado has gotten Jared into fields to visit with Central Illinois farmers in the midst of harvest. Its solid body style still provides Jared with a smooth ride, even among the corn stalks! 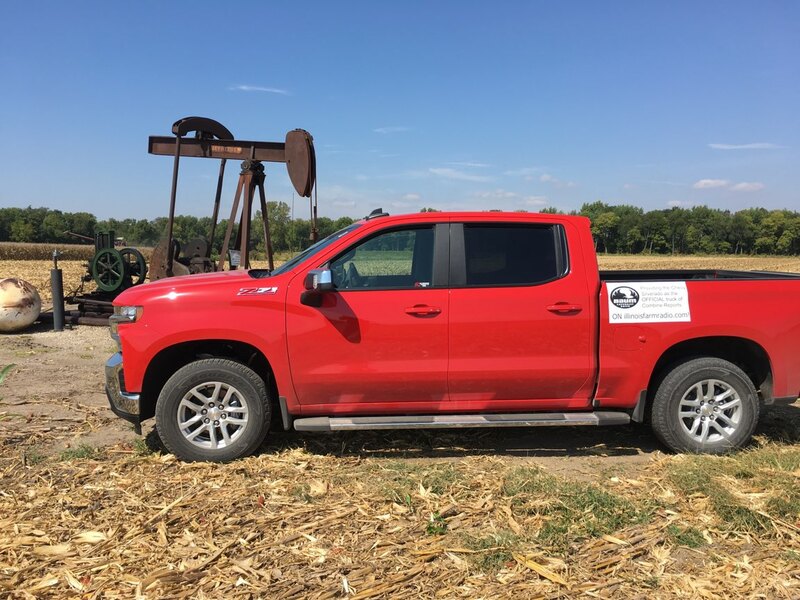 Whether the field is near an oil derrick or a township road, Jared rides in comfort in the 2019 Chevy Silverado provided by Baum Chevrolet Buick in Clinton! 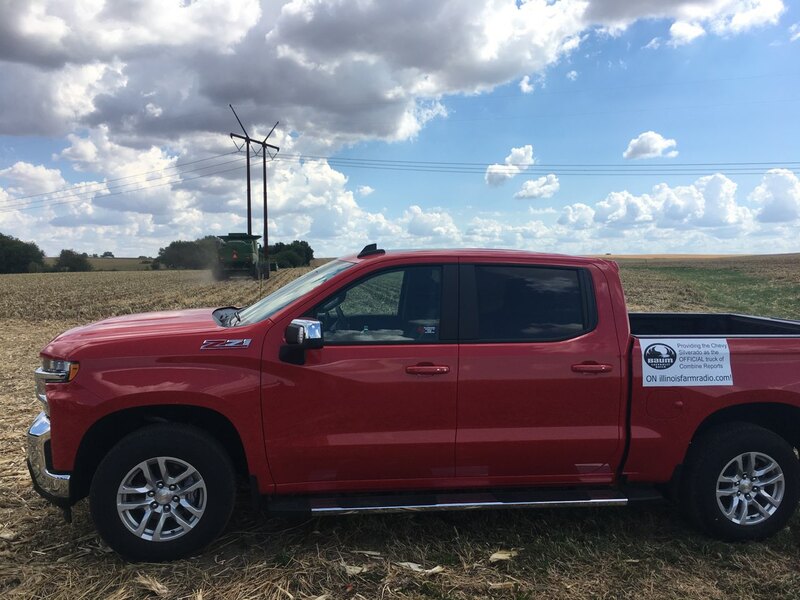 The Silverado is the Official Truck of this year's illinoisfarmradio.com's Combine Reports!